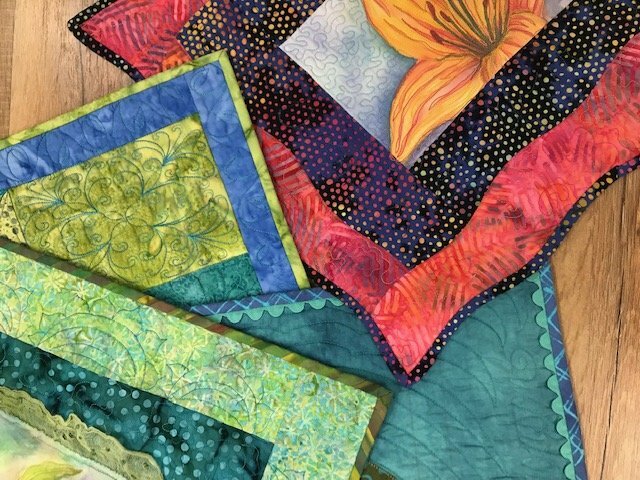 This class is designed to take all the fear out of binding your quilts! No longer will you be struggling with the mitered corners on those quilts you have worked so hard on. There will be several binding techniques discussed for different types of quilts. Small quilt, such as quilted placemat size. Nothing fancy, but it has to be quilted.